More favorite books from our bloggers! Lynn votes for The View from Penthouse B by Elinor Lipman. “I love Lipman’s writing style, her characters and the world they inhabit. This time it’s a penthouse in Manhattan, where Gwen and her sister Margot live in genteel poverty. In order to make ends meet, the tenants begin to multiply and become involved in each other’s lives and romances”. Amanda chooses a non-fiction title. “I have an obsession with cookbooks and graphic novels, and Relish: My Life in the Kitchen by Lucy Knisley combines the two in an entertaining and informative way. While the novelty of a graphic cookbook is what appealed to me at first, it was Knisley’s hilarious voice and effective story telling that won me over. I’m crossing my fingers that another book is on it’s way”. Ann goes with a classic re-imagined. “Longbourn by Jo Baker was my favorite this year. It’s a sly, witty and compassionate interpretation of Austin’s Pride and Prejudice, seen through the eyes of the servants. Usually faceless and unnamed, here they inhabit real lives with complications and joys and heartbreak just as interesting (if not more so) than the homeowners they serve”. There you have it – an eclectic collection of best books. 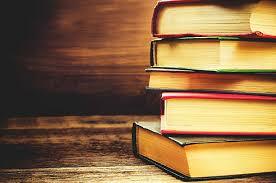 What about you – what was your favorite book in 2013? It is pretty safe to say that Young Adult Literature isn’t just for teenagers anymore. But now that you’ve finished Stephenie Meyer’s Breaking Dawn and know the fates of Edward, Bella, and Jacob–what should you read next? As one of the most talked about books last year, The Hunger Games by Suzanne Collins, is not for the faint of heart. Set in an alternate future where the United States is divided into 12 Districts controlled by the powerful Capitol who, in order remind the people of their control and as a punishment for the actions of no-longer-existing District 13, forces each district to send a boy and a girl (between the ages of 12-18) to compete in the Hunger Games–a glorified competition where 24 children are forced to fight until only one survives. The story begins when Katniss Everdeen’s younger sister is chosen to be District 12’s female competitor and Katniss immediately volunteers to go in her place. So now Katniss has only two options: kill or be killed. But those options don’t work when she discovers there are certain people she cannot kill and others who cannot kill her. Yup, this book has it all: science fiction, love triangle, politics, death, pretty clothes, sisterhood…and the best part? It is part of a trilogy!!! Book 2 of the Hunger Games, Catching Fire, was published just last month! “The Great Debaters” is a fictionalized account of a true story. In the early 1930s, in the Jim Crow South, a small, all black school in Marshall, Texas, called Wiley College produced a debate team of such skill and renown, they were invited to compete against the white college champions, an unprecedented event in its day. Mel Tolson (Denzel Washington) is the professor at Wiley College Texas who wants to encourage his students to have big dreams. National Treasure 2 is the follow up to the box-office hit National Treasure. Treasure hunter Ben Gates (Nicolas Gage) and his fellow treasure hunters (Justin Bartha and Diane Kruger) along with his parents ( Jon Voight and Helen Mirren) set forth to prove his great-great grandfather’s innocence. Ben’s ancestor has been implicated as a key conspirator in Abraham Lincoln’s death. Ben follows an international chain of clues that takes him on a chase from Paris to London and ultimately back to America and leads to the President of United States and the world’s most treasured secrets. I found this movie fun. One and a half hours of action and suspense. The most pivotal and yet least understood event of Frank Lloyd Wright’s celebrated life involves the brutal murders in 1914 of seven adults and children dear to the architect and the destruction by fire of Taliesin, his landmark residence, near Spring Green, Wisconsin. Unaccountably, the details of that shocking crime have been largely ignored by Wright’s legion of biographers—a historical and cultural gap that is finally addressed in William Drennan’s exhaustively researched Death in a Prairie House: Frank Lloyd Wright and the Taliesin Murders. Do you like historical fiction? Try Brothers by Da Chen. 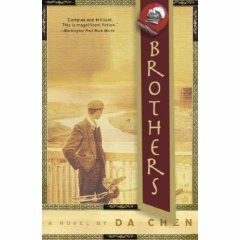 The book takes place in China during the Cultural Revolution and concerns two brothers, Tan and Shento, one born to wealth and privilege , the other to poverty and shame. The story follows their lives as they grow to manhood and fulfill their destinies. Though a work of fiction, the author has also written memoirs of his life in China, and this book draws upon his experiences during those tumultuous times. 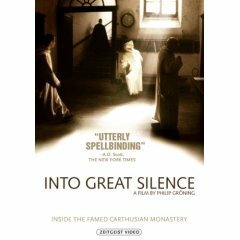 Into Great Silence is a compelling film that chronicles the lives of the ascetic monks of the Grande Chartreuse in the picturesque French Alps. This is a unique movie in that there is no voice over and few subtitles. The tolling of the immense church bells calling the monks to prayer provides us with a rare glimpse of the rhythm of daily life for the men who live outside of the hustle and bustle of our modern time. This stark yet beautiful documentary introduces viewers to the symbols, rituals, and traditions that the Carthusian monks have followed since the founding of this hermit order in the eleventh century. 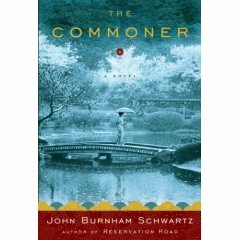 A very quick read (120 pages) about the Queen of England who discovers a love of reading when she wanders into a bookmobile. She reads widely and indiscriminately with the help of a young palace employee. She finds that she is changed by what she reads, as well as by the process of reading. The Queen as a character is immensely likeable and honest, yet the author gives insight into the very real class and status differences she has always had to live with. One (as the Queen refers to herself) gives an insider view of what life as a monarch may be like. The act of reading as subversive and suspect is also explored – very interesting for those who love reading, books and libraries. Though the style is light and funny, there are many poignant moments, and a surprise ending as well. Highly recommended.